The Jersey Spurs supporters club welcomes you! If you're a Spurs fan living on Jersey, or even if you're just visiting, you can be assured of a warm welcome. Why not join us to watch the next Spurs match, or get involved in some of our club activities. Jersey is a great place to live, work or visit - and anywhere is a great place to be a Spurs fan! 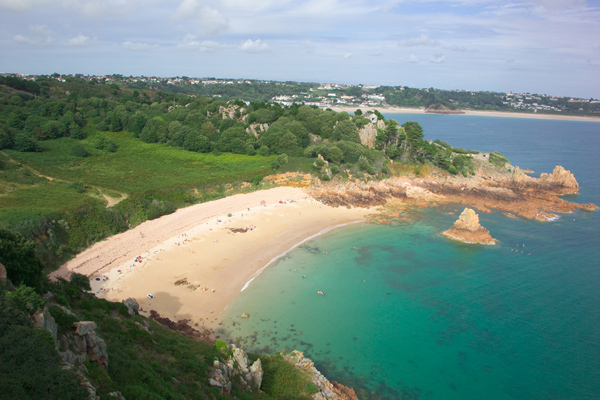 Jersey is a British Crown dependency off the coast of France. The Island is 9 miles by 5 miles (45 miles²) with a population of around 90,800 (December 2007 estimate) which is around the same size of Wembley Stadium, London! 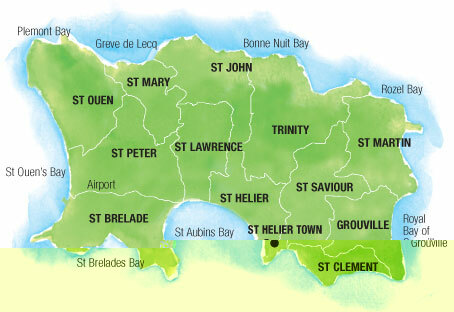 The Island is divided into 12 Parishes with the capital being St Helier, each parish has a Constable (or father of the parish) as its head. The club itself was formed on 1st September 1994. 25 members were present at the first meeting, the club now has over 80 members. The club meet at Springfield Stadium Bar for most Spurs games. 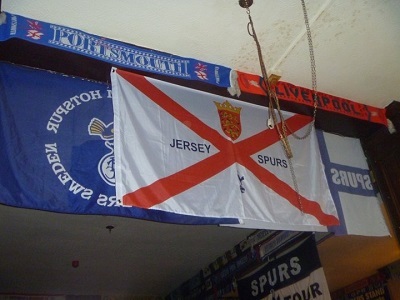 The bar is situated in the main town of St Helier under the only football stadium in Jersey. The bar is run by our Host 'Kene' and if you are a local or visiting Spurs supporter you are welcome to come down and join us (please check televised games page for details of matches). All the games will be shown on the giant screen (2.2x1.6mtr) plus free sausage and chips at half time! Its a great place to meet fellow Spurs supporters in Jersey (kids with adults welcome). Get involved by joining our golden goals sweepstake or Spurs betting syndicate. If any local members would like to purchase a season golden goal ticket, please contact us, they are £30 a ticket. We are selling them on a first come first serve basic so don't miss out. it is a lucky dip system so you wont be able to choose a number. The betting syndicate has been running since the start of the season, and anyone is welcome to join (as long as you are over 18) the more the merrier. Minimum stake is £2 per person per week, if you want to pay in more you can do so and would get a higher share of any winnings. This has been going on for the last six seasons, so we now know which are the best online bookies to use in order to get the best odds. We also use free bets where possible to boost the kitty. If you would like to help pick the weekend bets, you can join us on Friday lunchtimes when we go through the betting coupon to make the weekend selections. Alternatively you can be a "silent partner" and let the team choose the bets for us all. We use online bookies to make things more transparent in terms of our records, and to get better odds and betting offers. Although there are plenty of local bookmakers in Jersey, they would not give us those possibilities. Hence our use of the free bets listed at toptenfreebets.co.uk. If you're happy with all of that and would like to get involved, please turn up and let us know. We are currently discussing potential away day match trips for next season. If you have any particularl requests of grounds you would like to visit, please let us know. Obviously we don't yet know which teams will be promoted or relegated from the Premier League as yet so we can't finalise the decision or start to organise trips until the summer, after the new fixtures are released. However now is the time to express an interest in joining us and get your requests in before the planning starts. Due to our, shall we say, advancing years, none of the JS team actually have the time or inclination to maintain a social media account for the club. But that doesn't mean we're complete dinosaurs, we do use it from time to time and we do have kids to show us how. 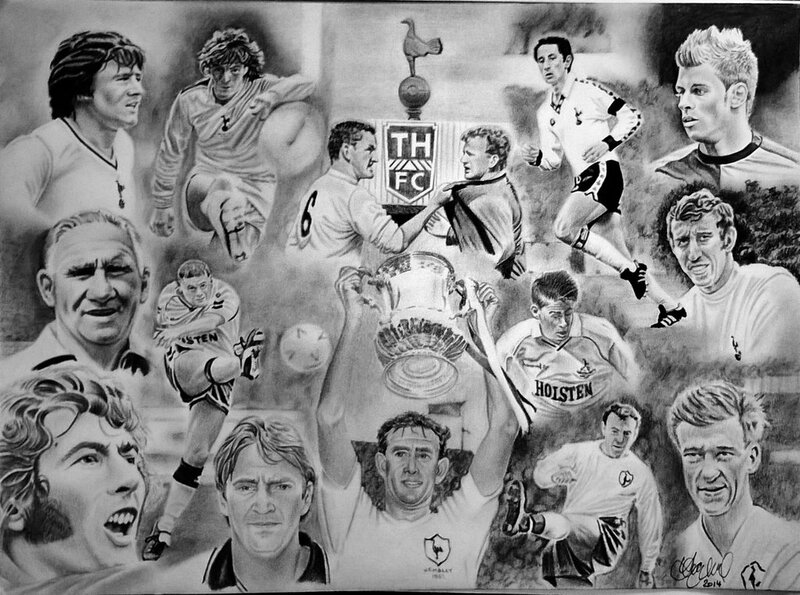 So bearing that in mind, we can't ask you to follow any of us but we can recommend you some other Spurs / Jersey / football related accounts that you might be interested in. First and foremost, obviously the Spurs Official facebook page is one of the main ones for club news. And if you're a Twitter user, our friends at Orlando Spurs have a very active account, also something like this Spurs news account is going to be handy as well. The guys that run the betting syndicate subscribe to tons of blogs to keep up to date with the latest news & promotions so you might be interested in looking at these as well. But to be honest, the best way to spend your spare time is to take your nose out of your mobile phone and look at the world around you. It really is a great place, especially when the men in white are playing!